Don’t get it twisted. There are very few people that can say they know everything about alcohol – especially the alcohol that comes from The Beaver State. Portland in general is known for its breweries and craft beers, but there is so much more to the drinking culture than that. And really, there is so much more to drinking than just craft beer. Confession: I don’t really like beer that much. Usually it needs tastes like juice aka Schofferhofer Grapefruit Hefeweizen or Belgian Fruit Lambic. In additional to its vast beer culture, Portland and really Oregon in general, is also known for its wine. But if you’re a beginner into the world of Pacific Northwest booze culture, which consists of numerous options, where do you start? 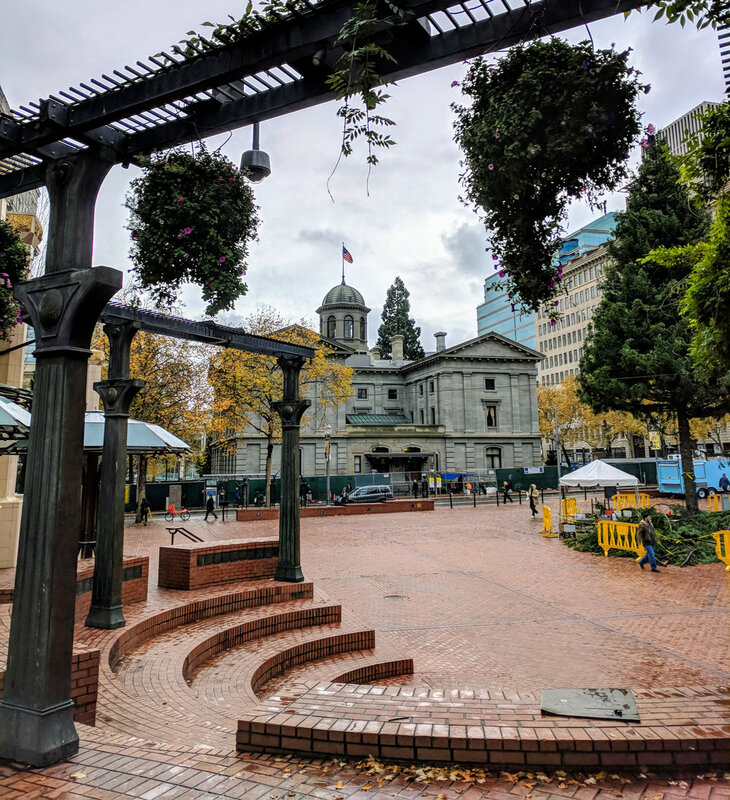 If you didn’t grow up in Oregon, or have friends who work in the industry whose brains you can pick (like I do), head downtown to Pioneer Courthouse Square. Tucked away from the hustle and bustle is the TriMet office. Wait, we’re not talking about transportation. Oh yes, also through that same door is the location of Portland Walking Tours. These are the people you want to take you on a boozy tour of the City of Roses. THE BOOZIEST STATE IN THE U.S.
Don’t believe me? Portland ranks 3rd in breweries (there are over 100 breweries in the Portland area alone, and over 260 in the state). There are over 700 wineries and counting in Oregon with almost 500 wine tasting rooms. The state ranks 5th in distilleries (there are 69 distilleries, producing more than 400 different products), and finally ranks 15th in bars per capita of any city. Moral of the story? Oregonians know a thing or two about drinking. Let’s raise a toast to The Beaver State! But not the medieval kind where you dip toasted bread into bad wine. Did you know some Oregon wines outrank French ones?! This is a fact, and something they have continually done in competitions in Paris for years. This is also where Oregon got its start in the alcohol industry and where our tour began. The top grape being grown in my home state is the Pinot. Mostly grown in the Willamette Valley (my hood) the grapes originally came from France. The reason France gave Oregon some of their Pinot grapes over Washington and California is because Oregon is the only state on the West Coast which does not believe in blending their grapes to create a product. With Oregon’s two neighbors hovering around 50-60% pure Pinot grapes Oregon comes out on top at a staggering 95% pure Pinot. Color me, and the French, impressed. Now there are a number of French wine makers who have established vineyards in the Willamette Valley, and this is because the climate is similar, both locations are at about the same latitude and the produce coming out of each region is on the same level of quality. Oh ya and that fun grape fact above. We walked over to Oregon Wines on Broadway (literally less than a 10 minute walk) and sampled a white and red pinot. FYI they have 36 wines on tap at all times! Our first taste was Pinot Gris (in Oregon it’s pronounced the French way) from Libra Wines. This is the wine that Oregon is also most known for, and is also stainless steel fermented. Following the white we had a Pinot Noir from Stoller Family Estate. It was a little fruitier tasting for a Pinot Noir and originates from the Dundee Appalachian area. It made perfect sense our first snack came from one of Portland’s famous food carts. Food truck and cart phenomenon is part of the Portland way of life. The food scene in general in this city is something many US cities are trying hard to figure out how to replicate. Although Portland did not invent food carts it is the one place that truly excels in its diversity of cuisine – you can bet there is a cart to suit almost every need and every palate. Not only that, the carts themselves and the people that run them are also their own little community. This is a huge factor to their success. The vendors help each other and even work to complement each other’s menus to mesh with their corresponding neighborhood. Currently there are over 800 food carts in the city showcasing over 80 cuisines. We visited the oldest and biggest pod (the areas the carts set up in), the Chaos pod, on Alder and 10th Street and tasted an amazing brat from German cart Altengartz. Following the wine and the brats it was time to take a deep dive into Portland’s impressive distillery history. Remember how I mentioned that Oregon ranks 5th in distilleries? 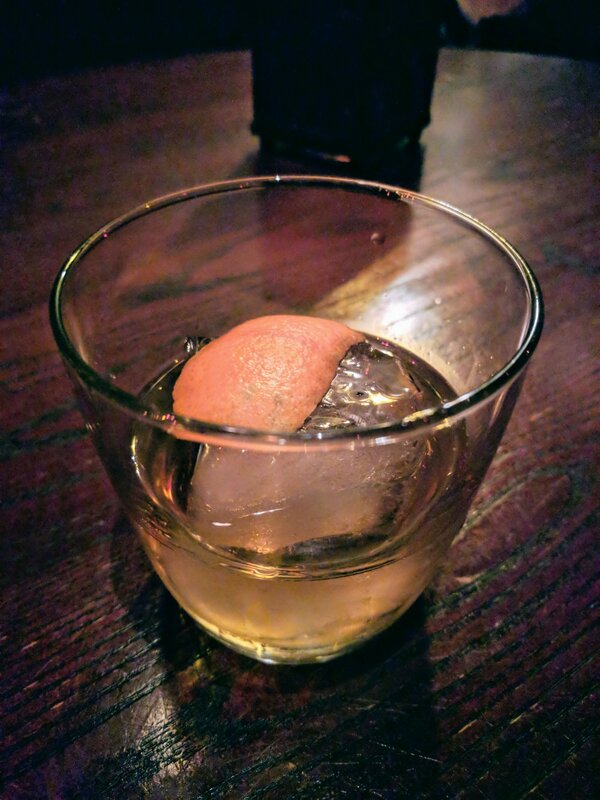 Cocktails were invented in London in the late 1700s with the first recorded cocktail party taking place in St. Louis, Missouri a little over 100 years later. In Portland, Rose City Distilling (formerly Indio Spirits), which we visited for our 2nd (technically 3rd) drink of the afternoon, is the 3rd largest in the state. They are one of the “pioneers” of the craft distilling movement so you know you’ll be tasting something pretty great. They’ve won the most awards out of any other distillery in the city and distill 7 whiskies, 8 vodkas, 3 rums and 3 gins. In true PNW (Pacific Northwest for you non-natives) form they only buy and use Oregon made products, and have even created their own well line. Very impressive if I do say so myself. 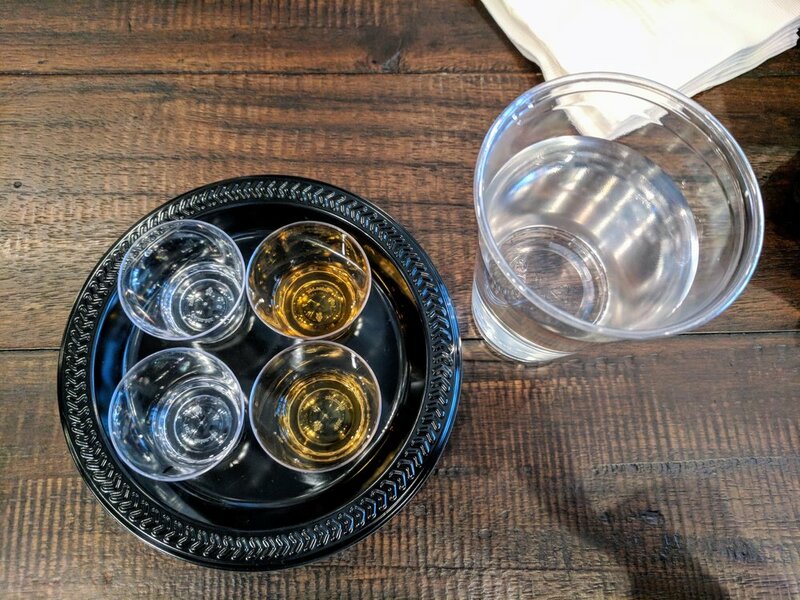 Full disclosure: I thought we would be having an actual cocktail during this stop but instead we tasted 4 different spirits. Afterwards I was definitely feeling the effects. 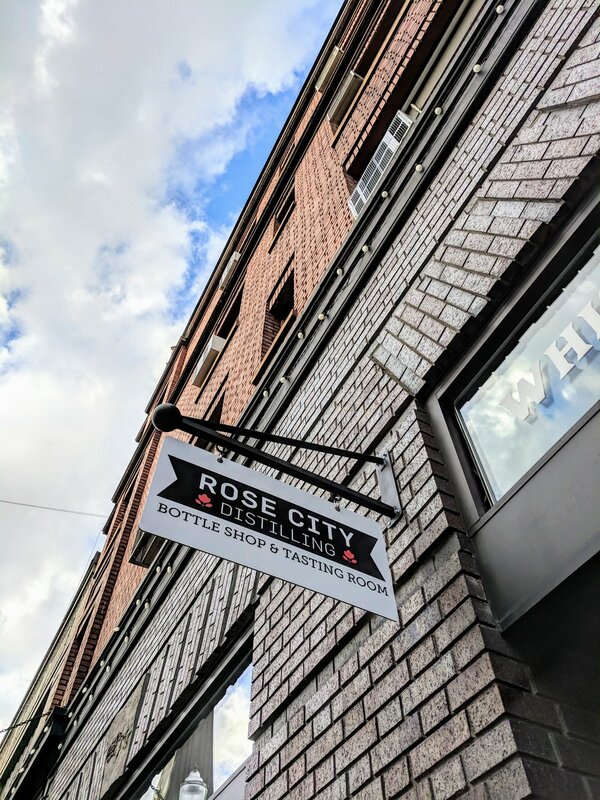 Rose City are serious craft distillers. Known for their Marionberry Vodka (this is an Oregon developed berry) they definitely excel in the flavor department. Cricket Club Gin – A corn and rye infused gin with natural botanicals of juniper, blood orange and lemon grass. James Oliver American Rye – A bourbon barrel American grain made from rye, barley and corn in brand new American oak barrels every time it’s made. It also won the International Whiskey Competition after only being out for a year. Red Island Black Spiced Rum – Rose City's rums are 100% sugar stilled and aged in oak barrels. The variety we tasted uses cinnamon from Australia, star anise and vanilla. Also, just so you know Rose City's rum is the purest sugar stilled rum you will find outside of the Caribbean. Marionberry Vodka (linked above) – Made with natural cane sugar and is straight botanical. If you aren’t feeling a little tipsy after tasting these four straight spirits then you have a tolerance level I fully respect. I also encourage you to bring home a travel sized bottle or two. This is the time to impress your friends with your liquor knowledge and high quality samples. Oregon's first brewery opened in Portland way back in 1852, and since then has become the one city in the world with the most breweries. For reference, the city of Cologne, Germany only has 36 breweries. 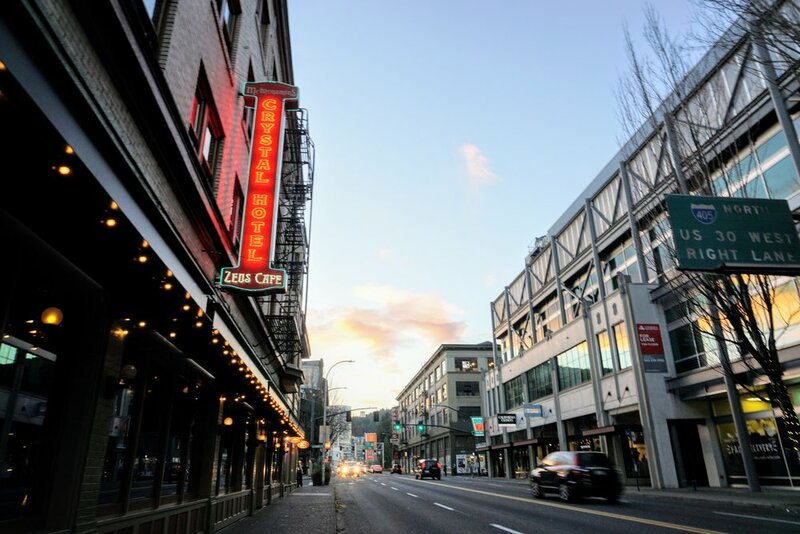 FUN FACT: In the years leading up to prohibition some Oregon saloons were connected to breweries! This is where local malt, hops, and yeast were being used to produce small batches of handcrafted beer. These are whole hops (which can also be called “leaf hops” or “raw hops”). They are the whole dried cone flowers of the female hop plant. 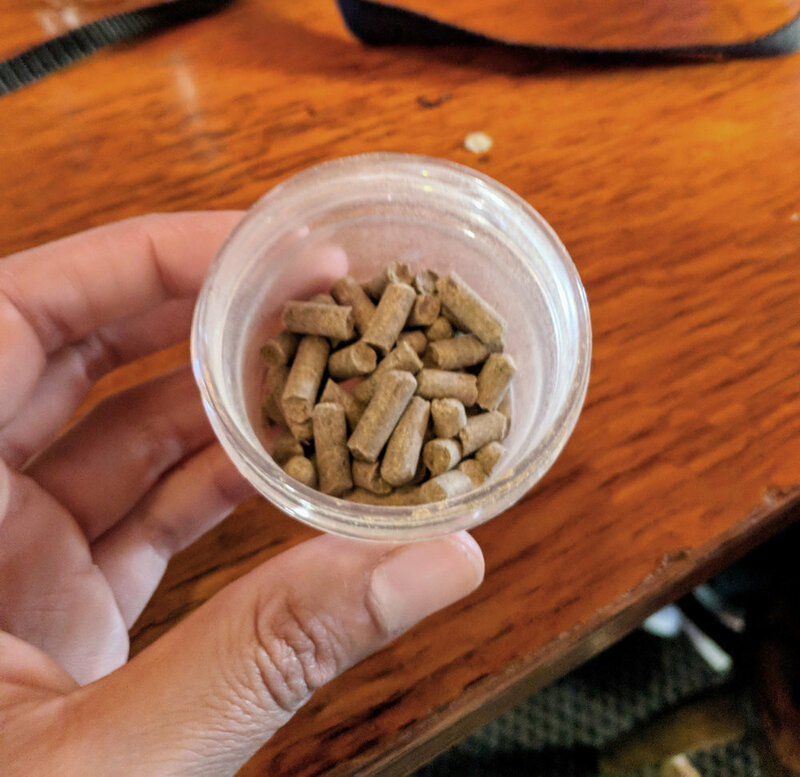 These are pellet hops. They're made by grinding up the whole hop cones. Pellet hops are best used for bittering, as one oz. will yield about 10% more IBUs than one ounce of the same hop variety in whole form. By the time prohibition was repealed in 1933 Oregon had become the world’s leading producer of hops (there were over 34,000 acres). 1974 is a key date when it comes to this tour as that is when brothers Mike and Brian McMenamin (who were from Northeast Portland), opened their first location, the Hillsdale Brewery & Public House. Why are the McMenamin brothers so important? Because when it comes to brew pubs in Portland McMenamins takes the cake with over 65 operating brewpubs, breweries, music venues, historic hotels and theater pubs. The best part about McMenamins? Every single location brews something different, so you can go in knowing no two experiences will be exactly the same. When it comes to the national consumption percentage of craft brews Portland comes out way on top at about 44%, and the economic impact this industry brings to the state of Oregon is at a staggering $3 billion! That’s a lot of brews! This was the very first time I had seen an actual hop! Yes, I have seen photos and artistic vector art of them but I had never actually seen or held one before. It definitely smelled like beer, but looked so cute. 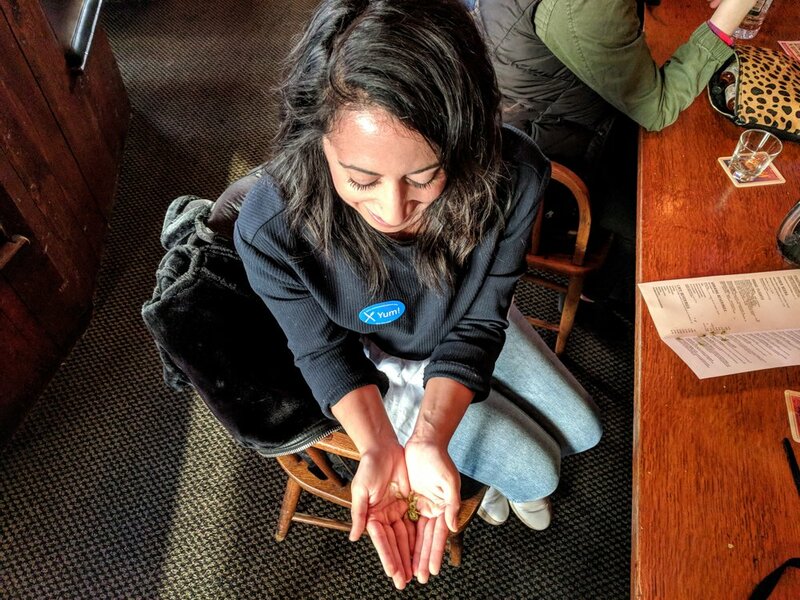 Our McMenamins beer tasting experience took place at the Zeus Cafe at the Crystal Hotel location. We tasted three different brews including the Ruby (which many would call a girly gateway beer aka what I love the most), the Terminator Stout which has notes of coffee, and the Delivering The Goods IPA. Every two weeks they have a new IPA but this one is a classic. I preferred the Ruby as it was deliciously fruity – which comes from the 84 pounds of raspberries that are put into each vat. Our awesome tour guide Herb! 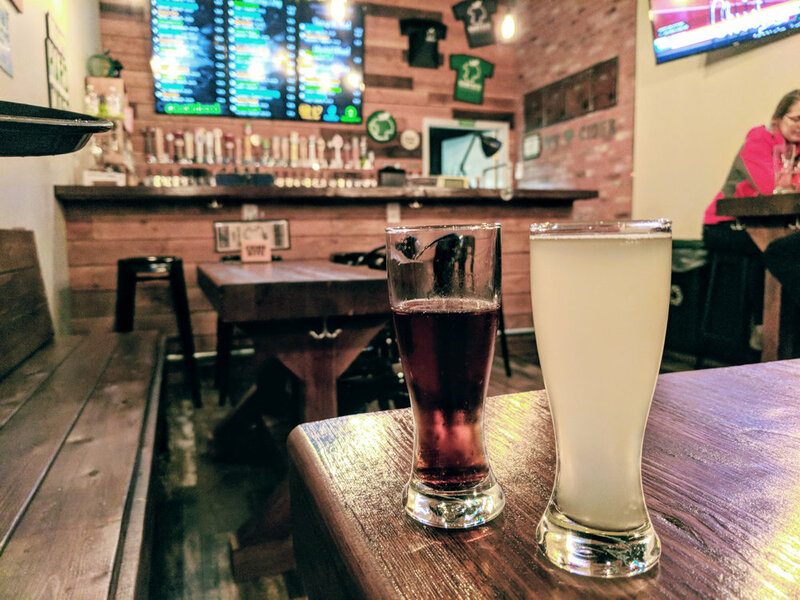 The final stop on our lovely PDX drinking tour was Cider Bite. A taphouse for cider? Yessir! I was in heaven. Not only do I love cider, but they consistently have 32 different varieties on tap. Cider Bite was the first Hard Cider Taphouse in Oregon, and they treated us to six 5oz tasters. Located in the Pearl District the modern, rustic décor made me feel super relaxed. It was great to taste some ciders I had never had, or even heard of, before, and I was pleased that our tasters ranged from the sweet to the dry. If you’re concerned about being gluten-free (I’m not fully) all of their ciders will tick this box, and in true Oregon form the majority of their ciders are made by cideries in the Pacific Northwest. 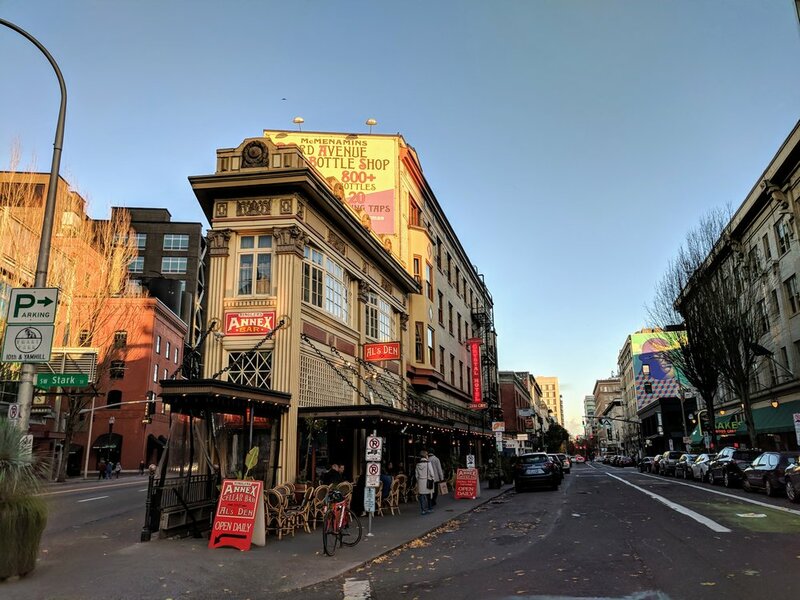 After walking through Portland’s drinking history (and really its social culture) of wine, spirits, beer and cider it was time to stumble home. Or in my case stumble back to the TriMet station so my mother could come and get me – oh the joys of no longer having a car. I was somewhat aware of the wine and beer culture in Portland but I had no idea the alcohol industry ran this deep and really trail-blazed booze in America. Oregon is a state that hundreds of thousands of tourists visit each year to get their food and drink on, and now after spending 4 hours walking and drinking my way through Downtown Portland I feel a little more warm, a little more happy, and a lot more knowledgable. 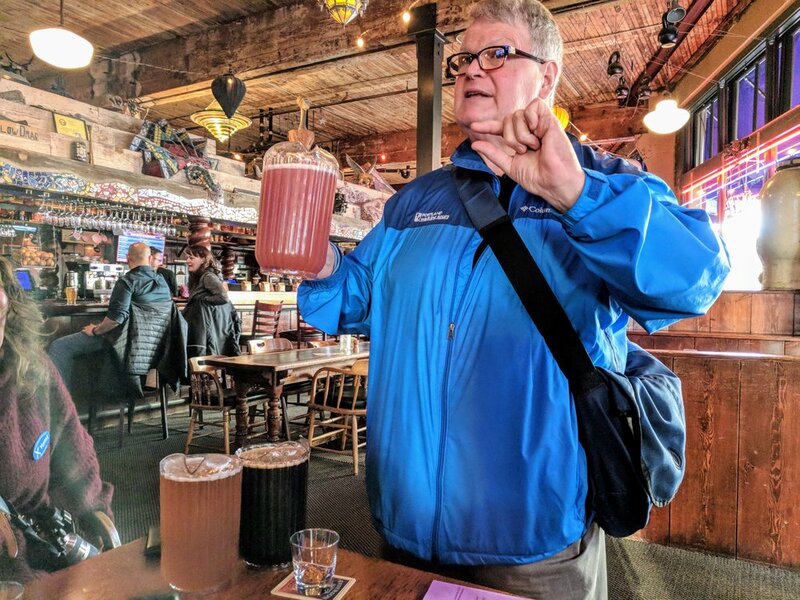 If you think you know a thing or two about drinking, or are just someone who enjoys the past time, I encourage you to head West and sample the Northwest region's libations. BIG thank you to Portland Walking Tours for setting me up with this awesome post-Thanksgiving activity! Not only was it super informative, our tour guide Herb was so knowledgable and made it that much more fun. I'm now a little more confident I won't sound like a total dunce talking with the handful of people I know who have made booze their careers. This is definitely a tour you must experience on your next visit to the City of Roses. So pin one, or both, of the images below lest you forget!